Article correct as of November 2016 – some legislation regarding marijuana use may have changed since then. 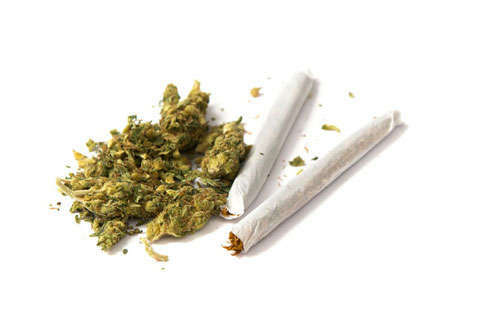 Marijuana is the most commonly used illegal drug in the UK and the United States (1). Prepared from the leaves, flowers, and stem of the Cannabis plant, it can be smoked, vaporised, added as an ingredient to food or brewed as a tea. In addition to recreational use, the use of medicinal cannabis has increased over the last decade, due to approval for its use in HIV-1 and cancer patients. It has been recommended for pain relief, and for nausea and vomiting in those undergoing chemotherapy (2). Since the 1970s there have been a small but significant number of case reports describing a link between marijuana use and invasive aspergillosis. This is thought to be due to the direct inhalation of fungal spores that are present on the surface of the plant. The heating of cannabis buds may not be sufficient for sterilization and so users (particularly those with weakened immune systems) are potentially exposed to life threatening pulmonary infection. Conditions of storage during shipment or ageing processes may also contribute to the presence of mould in marijuana (3). In a 1981 study, 11 out of 12 marijuana samples tested contained aspergillus organisms and found that the spores could easily be inhaled through contaminated cigarettes (4). In a more recent study, both marijuana and cigarettes were found to be heavily contaminated by fungal spores (5). Marijuana inhalation may generate Aspergillus antibodies in healthy people. In 28 marijuana smokers, 13 had an increased reaction to Aspergillus antigens (compared to non-marijuana smokers), indicative of exposure but not disease. A case of allergic bronchopulmonary aspergillosis (ABPA) in an asthma patient has been linked to marijuana contaminated with several different aspergillus species. An atypical presentation of aspergillosis was found in a patient with Chronic Granulomatous Disease (12), and more recently, two cases of chronic pulmonary aspergillosis (CPA) have been associated with extensive medical use of marijuana (13). Overall however, the risk of developing any form of aspergillosis appears to be low, given the numbers of marijuana smokers, with the likely exception of invasive aspergillosis in those with compromised immune systems. United Nations International Drug Control Programme., United Nations Office for Drug Control and Crime Prevention., &amp; United Nations Office on Drugs and Crime. (1997). World drug report. Oxford: Oxford University Press. Ruchlemer, R., Amit-Kohn, M., Raveh, D., &amp; Hanuš, L. (2015). Inhaled medicinal cannabis and the immunocompromised patient. Supportive Care in Cancer, 23(3), 819-822. Llamas, R., Hart, D. R., &amp; Schneider, N. S. (1978). Allergic bronchopulmonary aspergillosis associated with smoking moldy marihuana. Chest, 73(6), 871-872. Kagen, S. L., Kurup, V. P., Sohnle, P. G., & Fink, J. N. (1983). Marijuana smoking and fungal sensitization. Journal of allergy and clinical immunology,71(4), 389-393. Verweij PE, Kerremans JJ, Voss A, Meis JF (2000) Fungal contamination of tobacco and marijuana. JAMA 284:2875. Cescon, D. W., Page, A. V., Richardson, S., Moore, M. J., Boerner, S., &amp; Gold, W. L. (2008). Invasive pulmonary aspergillosis associated with marijuana use in a man with colorectal cancer. Journal of Clinical Oncology,26(13), 2214-2215. Sutton S, Lum BL, Torti FM. Possible risk of invasive aspergillosis with marijuana use during chemotherapy for small cell lung cancer. Drug Intell Clinical Pharm 1986; 20: 289-91. Hamadeh, R., Ardehali, A., Locksley, R. M., &amp; York, M. K. (1988). Fatal aspergillosis associated with smoking contaminated marijuana, in a marrow transplant recipient. CHEST Journal, 94(2), 432-433. Szyper-Kravitz M, Lang R, Manor Y, Lahav M. Early Invasive Pulmonary Aspergillosis in a Leukemia Patient Linked to Aspergillus Contaminated Marijuana Smoking. Leuk Lymphoma 2001; 42: 1433-7. Marks, W. H., Florence, L., Lieberman, J., Chapman, P., Howard, D., Roberts, P., & Perkinson, D. (1996). Successfully treated invasive pulmonary aspergillosis associated with smoking marijuana in a renal transplant recipient. Transplantation, 61(12), 1771-1774. Denning DW, Follansbee SE, Scolaro M, Norris S, Edelstein H, Stevens DA. Pulmonary aspergillosis in the acquired immunodeficiency syndrome. NEJM 1991; 324: 654-62. Chusid, M. J., Gelfand, J. A., Nutter, C. &amp; Fauci, A. S., 1975. Pulmonary aspergillosis, inhalation of contaminated marijuana smoke, chronic granulomatous disease. Ann. Intern. Med. 82:682 683. Gargani, Y., Bishop, P., &amp; Denning, D. (2011). 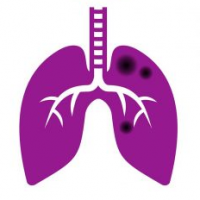 Too many mouldy joints–marijuana and chronic pulmonary aspergillosis. Mediterranean journal of hematology and infectious diseases, 3(1), 2011005. How do I… split pills?